Since starting in the real estate business in 1979, Mr. Marek has built a track record of success as an investor, developer, broker, lender, and manager of commercial real estate. After working at the Charles Dunn Company for seven years and a brief stint with Sycamore Financial Group, Mr. Marek, along with Mr. McBride formed Capital Lending Resources (“CLR”) and Capital Real Estate Advisors (“CRA”) in 1994. Since the formation of these two companies, Mr. Marek has participated in over $1 billion dollars worth of real estate and finance transactions. Additionally, Mr. Marek has been actively involved in numerous real estate investment and development projects as an owner and managing partner. Mr. Marek’s broad range of experience in both the investment and financing arenas provide him with a unique and balanced perspective when analyzing and structuring loans. Mr. Marek’s clients include such national firms as Rite Aid Drug Stores (as a preferred developer), Chicago Title, American Golf, Regency Centers, and Wachovia Securities (now Wells Fargo Bank). Mr. Marek is a member of the International Council of Shopping Centers (ICSC), Urban Land Institute (ULI), California Mortgage Association (CMA), and Rainmaker U. 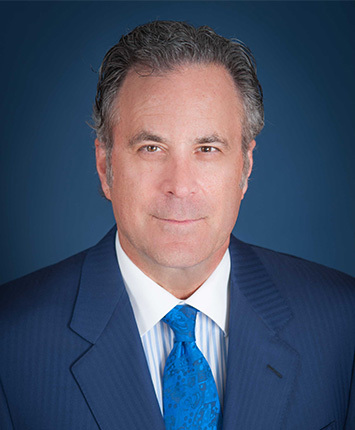 His charitable affiliations include the California Heart Center Foundation, Maryvale, Catholic Big Brothers, and his alma mater Crespi High School, where he previously served on the Board of Directors. Mr. Marek resides in Westlake Village with his two children. Mr. Marek has an undergraduate degree from California State University, Northridge, and a graduate degree from the University of Virginia.